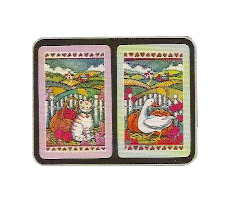 These Hoyle Bridge Sets feature two decks of of Hoyle Bridge Playing Cards, Enclosed in a Collectors Tin. 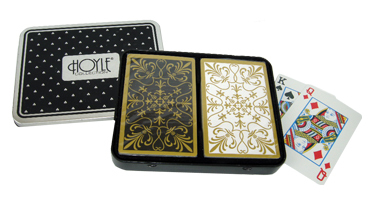 Choose from many different Hoyle 2-deck Bridge Sets, including our popular Silhouettes and French Gold Bridge Sets. SALE - Now Only $8.93! Feel free to browse our Piatnik Bridge Sets, Bridge Tables and Chairs, and our wide selection of other Playing Cards. 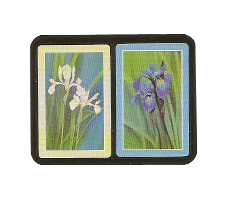 For more information or wholesale pricing on our Designer Playing Cards or any of our other Bridge Supplies, please contact us 1-800-233-0828.